In this article we will show you the first and most important task every database administrator / sysadmins must master “Backup and Restore your databases”. We divided this article into two parts. 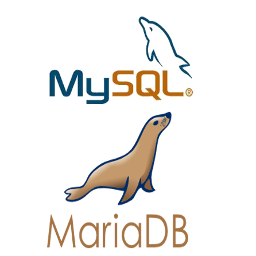 In part 1, We will show you how to perform backup for both MySQL and MariaDB databases for a single database, several databases, and all the databases. We also will compress your backups and only backup certain table/tables from a database. In part 2, We will show you how to restore the different types of backups for both MySQL and MariaDB databases. We gives you some examples in each part of this article. If you’re storing anything in MySQL/MariaDB databases that you do not want to lose, it is very important to make regular backups of your data to protect it from loss. For performing a database’s backup, we’ll use mysqldump – a database backup program. And for performing a database’s restore, we’ll use mysql – the MySQL command-line tool. The mysqldump can be used to dump a database or a collection of databases for backup or transfer to another SQL server (not necessarily a MySQL server). The dump typically contains SQL statements to create the table, populate it, or both. However, mysqldump can also be used to generate files in CSV, other delimited text, or XML format. Using mysqldump, you can backup either a local database or a remote database. 1. If you are doing a backup on the server and your tables all are MyISAM tables, consider using the mysqlhotcopy instead because it can accomplish faster backups and faster restores. The mysql is used to restore a database backup of all types. It supports interactive and non-interactive use. Part 1: Performing a MySQL/MariaDB database backup. If you do not name any tables following db_name or if you use the ‐‐databases or ‐‐all-databases option, entire databases are dumped. 1. If you are backing-up a remote database, add [-h Remote_server_IP] to the above option. 2. For backing-up a remote database, you must allow the database's user to connected remotely "which is a security thread". 3. I STRONGLY NOT RECOMMEND ALLOWING THE DATABASE'S USERS TO CONNECT REMOTELY. These are all my database I’ll work on, so let’s start. Verify the tutorials_articles.sql dump-file contains both the database backup. The following example takes a backup of all the database of the MySQL instance. This will backup all databases you created and all databases MySQL/MariaDB instance are using “information_schema, mysql, and performance_schema”. This type of backup will restore your MySQL/MariaDB instance with All customization you made for users privileges, access, etc.. In this example, we backup only the mysql_tutorials table from tutorials database. If your MySQL/MariaDB database is very big, you might want to compress the output of mysqldump. Just use the mysqldump backup command below and pipe the output to gzip, then you will get the output as gzip file. ‐‐opt is a group option, which is Same as ‐‐add-drop-table, ‐‐add-locks, ‐‐create-options, ‐‐quick, ‐‐extended-insert, ‐‐lock-tables, ‐‐set-charset, and ‐‐disable-keys. Enabled by default, disable with &dash;&dash;skip-opt. ‐‐compact is a group option, which gives less verbose output (useful for debugging). Disables structure comments and header/footer constructs. Enables options ‐‐skip-add-drop-table ‐‐skip-add-locks ‐‐skip-comments ‐‐skip-disable-keys ‐‐skip-set-charset. ‐‐add-drop-table: Tells MySQL to add a DROP TABLE statement before each CREATE TABLE in the dump. ‐‐no-data or -d : Dumps only the database structure, not the contents. ‐‐add-locks: Adds the LOCK TABLES and UNLOCK TABLES statements you can see in the dump file. 1. For all mysqldump options see the man pages or run on your terminal "mysqldump --help". 2. The advantages of using mysqldump are that it is simple to use and it takes care of table locking issues for you. 3. The disadvantage is that the command locks tables. If the size of your tables is very big mysqldump can lock out users for a long period of time. Part 2: Performing a MySQL/MariaDB database restore. Create an appropriately named database on the target machine. Now, we can restore the mimastech_db.sql file to the mimastech_db database. Or simply, unzip it first then use mysql to restore it as in the above example. In this article we have explained the first and most important task every database administrator / sysadmins must master “Backup and Restore your MySQL/MariaDB databases”. Backup and restore process is too important in the IT world. It keeps you and your business save from any disaster that might happen. We showed you how to backup and restore a single database, multiple databases, and all existing databases. We showed you how to compress your backups.